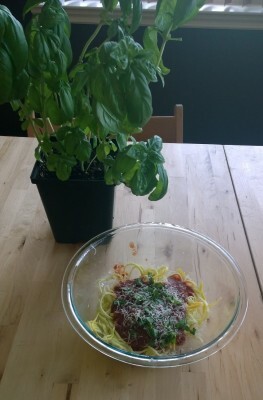 My friend Becki did a great recipe post this week, and talked about using a Vegetti to spiralize her veggies into pasta. I had heard of a spiralizer before, but it seemed expensive/difficult/complicated. 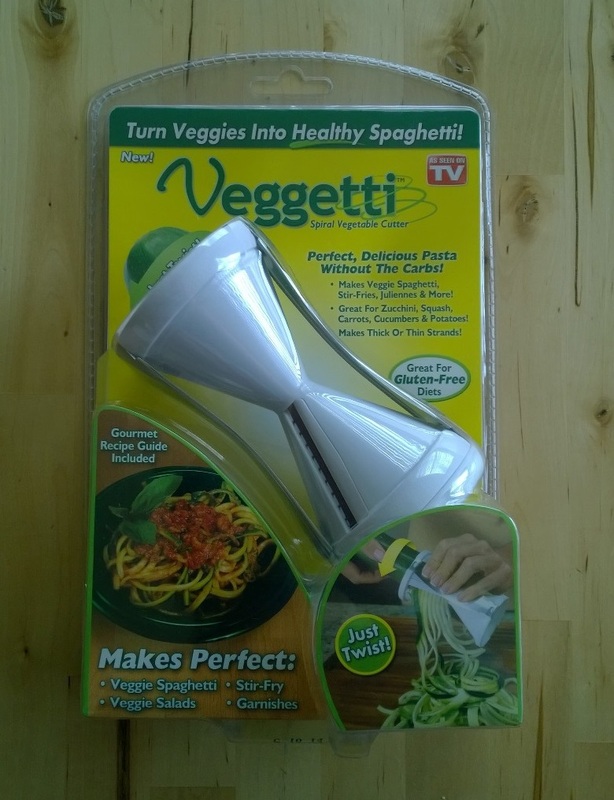 However, when Becki made it look so easy, and pointed out that the Vegetti is cheaper than a regular spiralizer, I popped over to Amazon and bought myself one… for just $13. Hooray for Amazon Prime, because today at lunchtime, it was on my doorstep! Very proud of the fact that I have kept this basil plant alive for 40 days and counting. It took longer to microwave the bowl than it did to put it together! I loved this as a great indulgent snack – that was still super healthy. I think the Vegetti is my new favorite kitchen tool. We tossed our last batch of zucchini with a little olive oil and sauteed it with garlic for about 10 minutes. To. Die. For! This tool just got added to my list. There maybe a trip to Bed Bath and Beyond later today to pick one up. I can’t keep plans alive to save my life; I always forget to water them!